The driver, Zanyun, first ploughed through people with his vehicle and later got out of it and went on rampage attacking people with knife. 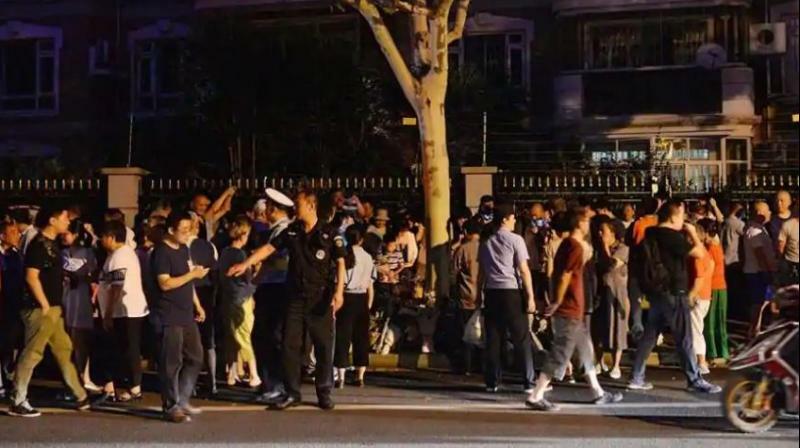 Beijing: Nine people were killed and 46 injured when a man drove his SUV into a crowd and later went on a stabbing spree in China’s Hunan province on Wednesday evening. The attack took place as people had gathered in a square by the river in Hengdong county. The driver, Yang Zanyun, 54, first ploughed through the people with his vehicle and later got out of it and went on a rampage attacking people with a knife. Nine people were killed and 46 others were injured, state-run Global Times reported. Yang was detained by police, who said he has a criminal record and has been jailed several times. Knife attacks by disgruntled people in public places and schools to highlight their grievances periodically occur in China. Several bystanders posted graphic video footage shortly after the incident on Chinese social media. In the videos, dozens of people can be seen lying on the ground, some in pools of blood, while panicked crowds and emergency services personnel gather around them, Hong Kong-based South China Morning Post reported. Local media reports quoted a restaurant manager in the vicinity of the attack as saying that he saw a red Land Rover suddenly ploughing through a crowd of people at a high speed after 7pm. A large number of mostly elderly people were dancing or walking in the square after dinner, at that time. Many fell to the ground after they were hit by the speeding SUV. Uyghur militants from Xinjiang from the East Turkestan Islamic Movement (ETIM) have also in the past attacked crowds with speeding cars.